The Australian Cranio-Maxillo Facial Foundation (ACMFF) is an independent, stand-alone charitable foundation that provides Australia wide funding to support local, interstate and overseas patients in various ways inclusive of assisting with the purchase of equipment, providing training for clinical personnel in overseas medical clinics, contributing to research that is aimed at craniofacial treatment improvements and assistance to ACFU as is occasionally sought for new initiatives. The current issues pertaining to the Australian Cranio Facial Unit (ACFU) at the Women’s and Children’s Hospital are being managed by the South Australian Health Department. These matters in no way have any relevance to the ACMFF. Based in Adelaide, Craniofacial Australia is a not-for-profit organisation that raises funds to support patient care, education and research for local, interstate and overseas people suffering from craniofacial abnormalities or injuries. Since it was established in 1984, annual fundraising activities by Craniofacial Australia have helped to contribute to more than 18,000 major operations on children and adults in Australia and overseas, as well as funding surgical training programs for doctors from all over the world. Funds raised by Craniofacial Australia are also used to buy medical equipment, fund research into the causes and prevention of facial deformities and injuries, support the development of new techniques and treatment and provide financial assistance to the guardians and families of persons in need of craniofacial surgery and treatment. A key aspect of the organisation’s activities is holding regular fundraising events and your help would be appreciated to raise valuable donations that will ensure services and support will continue to be provided to those in need. 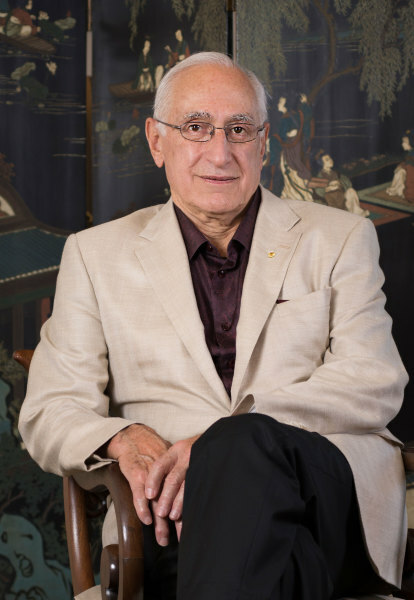 The Australian Craniofacial Unit (ACFU) and Australian Cranio-Maxillo Facial Foundation (ACMFF) founded by Professor David are committed to a vision of excellence and seek to educate and empower patients and families alike with world class care, treatment and facilities. Our mission is to ensure quality, integrity, compassion and fiscal responsibility. To maintain the highest standards of ethical and professional conduct at all times. The Australian Cranio-Maxillo Facial Foundation (ACMFF) values people. We are committed to act in ways that protect the dignity, uniqueness and intrinsic worth of every person. These core values are mirrored in our approach to handling personal information and data. The ACMFF will ensure that all applicable legislation and industry guidelines are adhered to in relation to handling of personal information. Technology developed by surgeons and researchers at the Australian CraniofacialUnit enables exact, full-sized 3D replicas of patients' skulls to be produced from CT x-ray scans. These nylon models are invaluable during pre-operative planning. Craniofacial surgeons and other specialists can study the precise size, shape and malformation of the skull before surgery - without requiring the patient's presence. Prostheses and implants can be manufactured and fitted onto the nylon model ensuring precision. 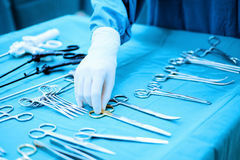 The duration of surgery is often reduced, resulting in benefits to the patient and savings for the health care system. Ancillary care and treatment of craniofacial surgical patients. 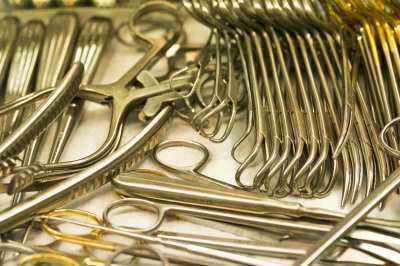 Medical instruments and equipment used in surgery and treatment. 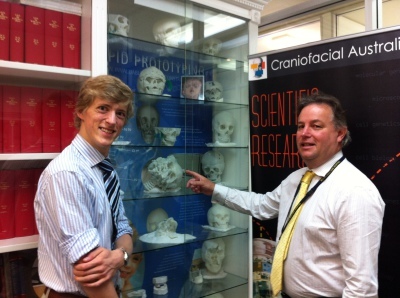 Research into the causes and prevention of craniofacial deformity and injury. 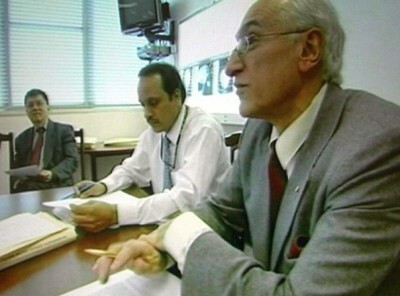 Development of new techniques and treatments to correct facial deformities and injuries. 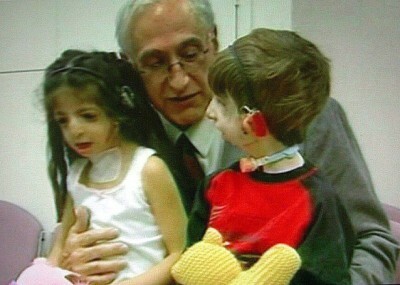 Assistance to the guardians or families of craniofacial patients. Coordination and most expenses incurred in the volunteer international clinics program.